A recent research about America’s eating habits has revealed that there is a number of problems associated with the U.S. diet. The funny thing is that they can all be summed up in two words: ultra-processed foods. These foods, including frozen pizzas, breakfast cereals, soda and the alike make up 58% of all the calories the average American consumes on a daily basis. Additionally, they make up 90% of the added sugars that Americans eat and drink. So, not only do more than half of the calories we ingest come from ultra-processed foods (which is the health equivalent of eating a spoonful of cement every few days) but they make up almost all of the added sugars. Researchers from the Centers for Disease Control and Prevention have said that 71% of American adults exceeded that 10% goal and that they have the added sugars to blame for the extra pounds – added sugars accounted for an incredible 15% of all the calories they consumed. And if you take all of that added sugar, you shouldn’t be surprised that you end up overweight or even obese. Naturally, overweight issues and obesity can easily set you up for some serious health problems like Type 2 diabetes, stroke, cancer, heart disease and other illnesses. According to data from the U.S. Department of Agriculture, the high-fructose corn syrup and sugar that Americans eat is extensively used in the food industry. Researchers agreed that the next logical course of action would be to figure out the extent to which the food industry was feeding Americans. In order to obtain those statistics, they turned to data gathered by the CDC as part of its National Health and Nutrition Examination Survey, which aims to track the eating habits of a nationally representative group of children, as well as adults. A survey conducted in 2010 questioned over 9000 people who recalled every single thing they had eaten in the previous 24 hours and more than 280,000 food items were named. The survey takers consumed about 2,000 calories per day, on average, which isn’t that problematic. Over 25% of those calories came from unprocessed (or minimally processed) foods, such as milk, eggs, fish and vegetables. Around 3% came from cooking ingredients like table sugar and oil and an additional 10% were traced to processed foods, such as canned vegetables, cured meat and cheese. All of this was somewhat expected. What was problematic was the fact that the caloric contribution of ultra-processed foods was greater than for all other categories combined, accounting for nearly 3 in every 5 calories consumed. That’s over 60%! 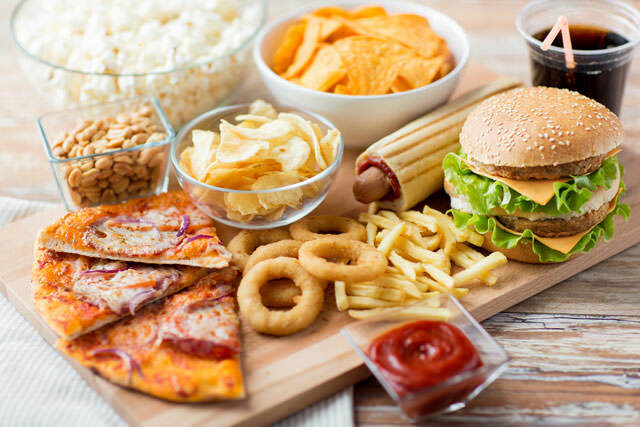 Ultra-processed foods are all foods that use artificial flavors, colors, sweeteners, stabilizers and other chemical additions which serve to mimic the taste of real food and mask their undesirable qualities. Bread, cookies, pies, cakes and salty snacks were among the most popular ultra-processed foods. 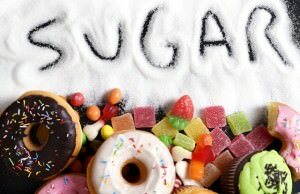 A whopping 14% of all calories could be traced to added sugars, although some types of food were sweeter than others. By definition, unprocessed and minimally processed foods have absolutely no added sugars in them while processed foods get 2% of their calories from added sugars, on average. For ultra-processed foods, however, the numbers go higher and stand at a stable 21%. The results of the statistics, as well as the message, are more than clear – if Americans are ever going to get serious about their diets and improve their eating habits, they will have to cut way back on ultra-processed foods.